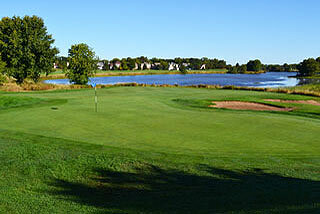 Orchard Valley Golf Course located in Aurora, is a beautiful 18 hole, 6,800 yard, par 72 championship layout. The course features a blend of natural challenges such as meandering wetlands, lakes, roughs, water hazards, bunkers, hollows and waterfalls. 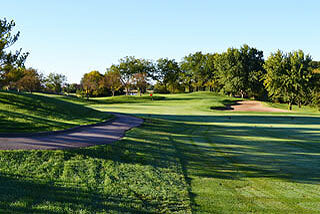 Rated by Golf Digest with 4-1/2 stars, Orchard Valley is one of Chicagoland's best public courses. 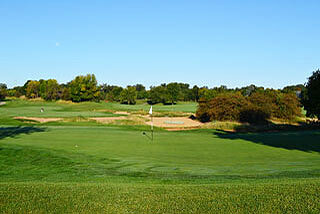 The terrain is fairly flat with mounding and small hills off the sides of fairway. Trees line and tighten the landing zones and the fairways slope toward the water hazards to challenge the tee shots on several holes. 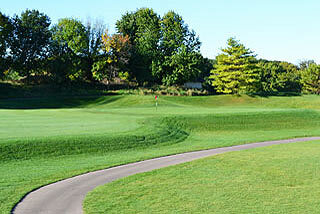 The large sloping greens are well guarded by bunkers and mounding. 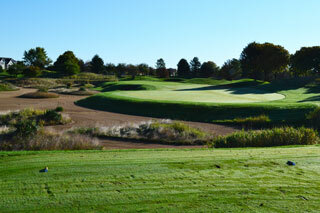 The 3470 yard back nine plays long and is the more challenging of the two. The front nine is 3275 yards long and features some short but interesting par fours ,including the 323 yard first, 376 yard third and the 325 yard fifth. In total there are 40 sand bunkers situated greenside and along the fairways, and numerous sprawling waste areas also provide challenge. Water hazard comes into play on ten holes. Four sets of tee boxes play to distances and slopes of 6745 yards with a slope 134, 6358 yards/130 slope, 5861 yards/123 slope for men, 131 for women, and 5162 yards with a slope of 123 for women playing the forward tees. On course the sprinkler heads are marked with yardages measured to the center of the green, and there also are indicators in the fairways from 100, 150 and 200, and on par fives - 250 yards out. 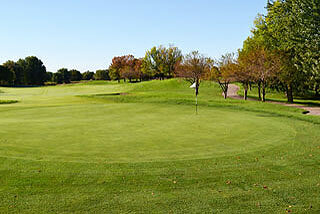 Color coded flags provide front, middle, or back hole locations on each green complex. The Clubhouse includes a well stocked pro shop - which has been ranked in the top 100 golf pro shops - locker rooms with showers, full service restaurant, an outdoor patio with seating for up to 40 people, and plenty of space for outings and banquets. 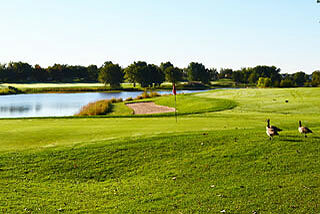 The practice facilities include a 20 stall grass/mat driving range with target greens 140, 160, and 200 yards out. The short game are is available for chipping, putting, and sand practice. 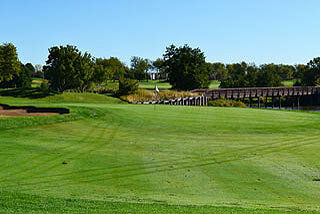 This course is off the beaten path in a non-congested area traffic wise - west of the city - and well worth the drive. For more info, visit our page for Orchard Valley, with direct link to their website by clicking here.